Joyce Glasser reviews Sharkwater Extinction (March 22, 2019), Cert. 12A, 84 min. On 10 March, a group of four young Canadians hoping to change the world were among those killed in the Ethiopian Airlines crash en route to an environmental conference in Kenya. One of the travellers was a marine biologist doing research on how plastics are decimating marine life. 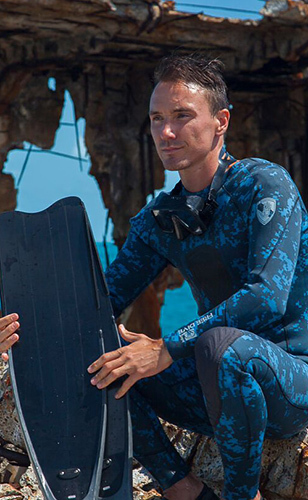 The tragic loss to the world of another selfless Canadian environmentalist unfolds in Sharkwater Extinction , a deftly edited, compelling, informative and eye-opening documentary written/directed co-produced by its on screen narrator, the late Rob Stewart. Jaws has a lot to answer for. 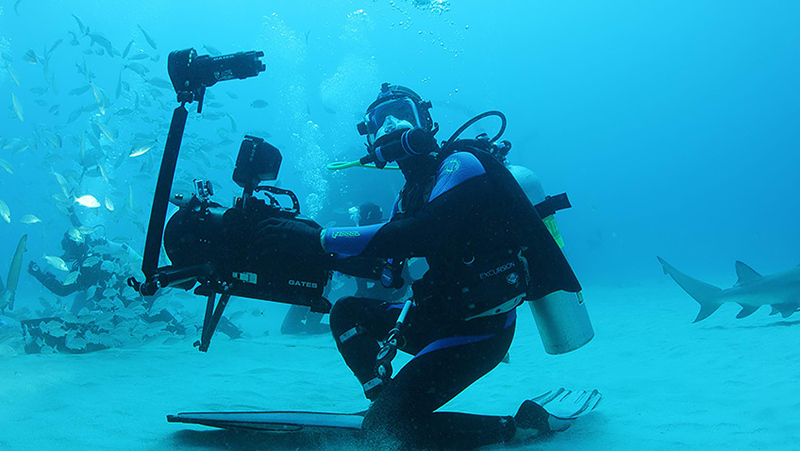 But Rob Stewart, born four years after Spielberg’s film instilled the fear of sharks into most of the civilised world, grew up loving everything under water. The real danger to the world is not sharks, but the corruption, illegal trade, greed and most of all, the ignorance that is facilitating the extinction of all marine life, especially sharks. Last year, over 150 million sharks were killed, primarily to supply restaurants with shark fins. Working as a photographer and freelance journalist, Stewart also earned a BA in biology and studied zoology and marine biology in Jamaica and Kenya – the destination of the environmentalists heading for the recent UN Environment Assembly. He was immensely qualified and impressively knowledgeable. Stewart, who appears in the film with boyish good looks and a healthy, tanned, trim body, turned activist and filmmaker with Sharkwater, released in 2006. In 2002, age 22, Stewart was sickened by evidence of illegal long line fishing in the Galapagos Marine Reserve and spent the next four years investigating (often under cover) the destructive shark fin industry. Based on his research, a film about environmental collapse, Revolution, followed in 2012. 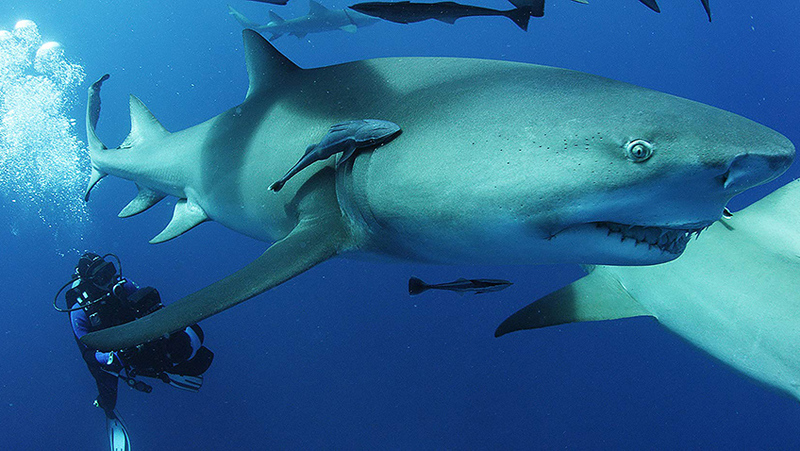 The Sharkwater investigation continues with Sharkwater Extinction . 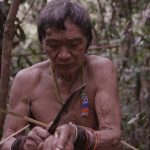 In this film Stewart travels from West Africa to Spain via Panama, Costa Rica, France, and North America to explain the 80 million sharks killed per year that are unaccounted for my scientists as 90 countries have banned shark fin fishing – but not shipping. In South America, Stewart and his companions watch as a crane loads tons of dead sharks into a Japanese long liner. When the Stewart sneaks into a Japanese freezer container, the sight of wall-to-wall dead fish is an image that no one will forget. Stewart is shocked to discover destructive drift net fishing on the other side of Catalina Island, a popular resort and scuba diving destination just 26 miles off the coast of Los Angeles. Although he is shot at by fishing boats just above his head as he videos sharks tangled in the huge nets, Stewart escapes with evidence that leads to the California State Legislature banning drift nets in September 2018. Sharks are also being trophy hunted like elephants. We meet one unscrupulous man, ‘Mark the Shark’ who takes fat, rich tourists out fishing (‘Easy online booking’) and snaps photos of them with a big smile posing like heroes next to a dying shark. On land, Stewart visits a marine biologist doing research at Stony Brook University who tells us about all the by-products of the shark industry, from dog food to cosmetics. He also measures the toxic mercury levels in shark which should in itself, be enough to put you off a meal or rubbing some shark oil into your skin. 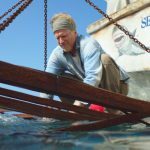 It is ironic that while Stewart not only swims with sharks, but touches them underwater, he is most in danger from the mafia and by fisherman the world over. The shark fin industry is so big that the mafia are in charge of warehouses in Costa Rica another country Stewart visits in this film. If Sharkwater Extinction is depressing, it is not defeatist. The film shows the urgency of the threat, and Stewart predicts that by mid-century, however, human survival will be in jeopardy. Appropriately, the film ends with Stewart travelling the world to raise awareness in schools and in public forums. He asks a large audience: ‘Are we going to save the ecosystem we all depend on for survival, or are we going to live in starvation and crisis fighting each other for what’s left?’ He claims we are morally bound together to make decisions about what we eat, where we put our money and how we live our lives. It was while diving in the Florida Keys on 31 January 2017 that Stewart disappears, the victim of faulty equipment. Stewart’s family and crowd funding completed his 84-minute film. And they want us to be aware that while we are watching, over 25,000 sharks are being needlessly killed.